First things first: All the materials and manufacturing methods are acutely vegan compliant - no animal products are used in the making of this footwear. Today, the unisex 2976 Chelsea boot is a slick, uncompromisingly fashion-forward look for both men and women. And now to support a choice that won’t be compromised, the Vegan 2976 comes in a non-leather material that’s soft and supple. 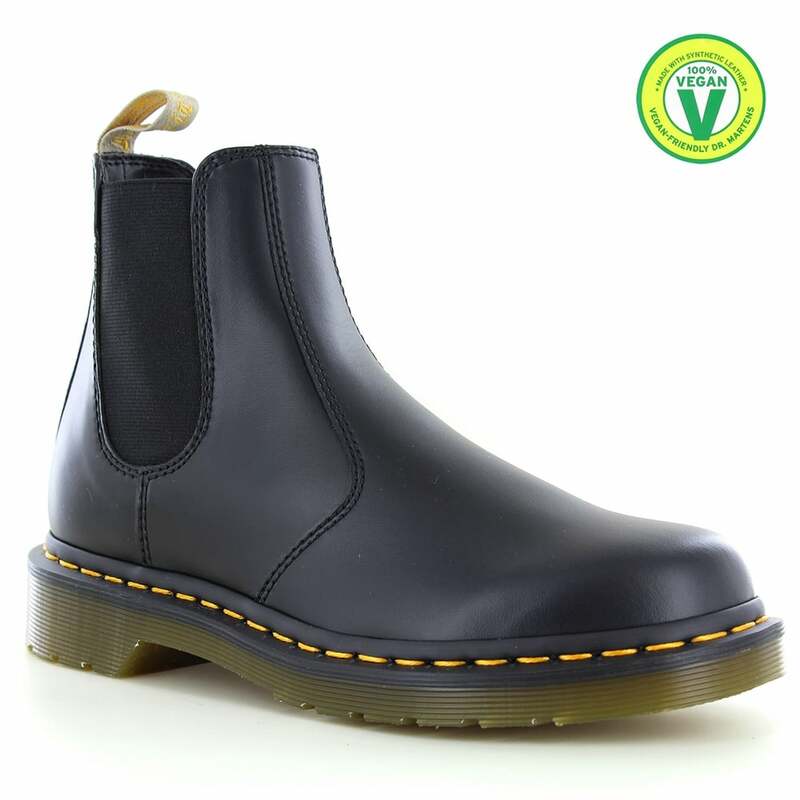 The Vegan 2976 Chelsea Boot has Dr Martens' iconic AirWair Bouncing Soles, that’s oil-and-fat resistant with good abrasion and slip resistance - and has been since 1960. The boot is Goodyear welted, meaning the upper and sole are sewn together in our heat-sealed z-welt stitch for enhanced comfort.